One of the most interesting and innovative accordionists on the international scene, his research moves through the boundaries of contemporary music, acoustics and electronics, sound experimentation, and cultivated contamination without forgetting tradition, thus resulting in a very personal approach to improvisation. He graduated with honours in classical accordion at the "G. Rossini" Conservatory of Pesaro, under Maestro Sergio Scappini. An eclectic instrumentalist, he has intense concert activities with groups of different musical extractions (improvisation, contemporary music, jazz, and classical). He has played in major festivals and shows in Italy (Clusone Jazz, Umbria Jazz, Tivoli Jazz, Time in Jazz - Berchidda, Sant'Anna Arresi, Barga Jazz, Mara Jazz, Jazz in'it - Vignola, Ravenna Festival, Rossini Opera Festival, Siena Jazz, Rumori Mediterranei – Roccella Jonica) and in the most important international festivals (France, Austria, Germany, England, Holland, Sweden, Denmark, Finland, Slovenia, Croatia, Macedonia, Spain, Norway, Russia, Tunisia, Lebanon, India, Venezuela, USA, and Japan). He collaborates with many internationally renowned musicians of different backgrounds: Thomas Clausen, Gianluigi Trovesi, Javier Girotto, Marco Tamburini, Massimo Manzi, Tamara Obrovac, Vasko Atanasovski, Paolo Fresu, Antonello Salis, Han Bennink, Art Van Damme, Bruno Tommaso, Ettore Fioravanti, Mario Marzi, Michele Rabbia, Andrea Dulbecco, Giovanni Tommaso, Gabriele Mirabassi, Frank Marocco, Bill Evans, Adam Nussbaum, Jim Black and John Patitucci. Since 1999 he has worked regularly with the soloists of the Scala Theater Orchestra of Milan, with whom he regularly tours all over the world. Along with his concert and research activities, Zanchini also supports didactic activities by conducting workshops on the accordion and improvisation. Since 1995 he has recorded about 20 albums and among the most recent, in 2006, was “Bebop Buffet” (Wide Sound) in duo with Frank Marocco, an exemplary album of the Bebop language expressed with the accordion. In 2009, in “Meglio solo!” (Silta Records), he experimented with the timbre possibilities of his instrument through the use of a particular midi accordion, live-electronics and laptops. In the same year, “Fuga per Art 5et” (Dodici Lune Records) is Zanchini’s only tribute album, a tribute to his great teacher and one of the greatest exponents of accordion jazz: Art Van Damme. In September 2010 he published the album “The Way We Talk” (In + Out Records), with an international quartet involving European and American musicians: Ratko Zjaca on the guitar, Martin Gjaconovski on bass and Adam Nussbaum on drums. 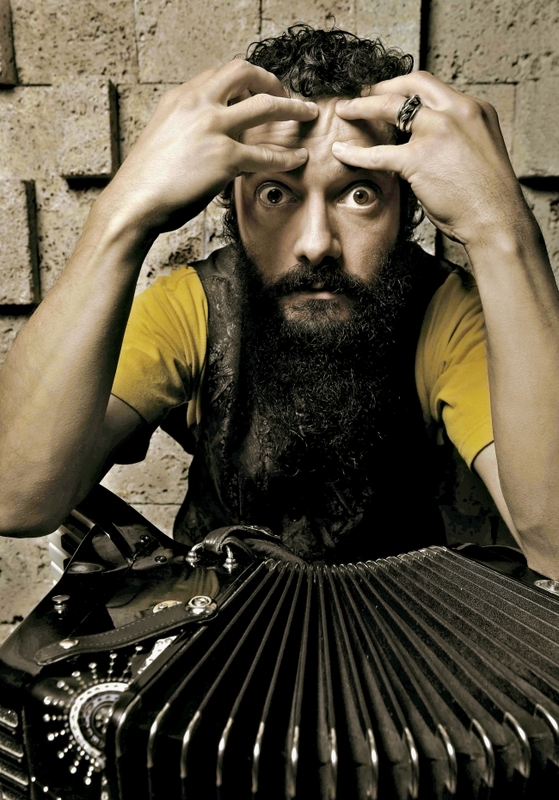 In May 2012 his album, “My Accordion's Concept” (Silta Records), a project built on radical improvisations for acoustic accordion and live electronics, was Zanchini's courageous attempt to subvert the common expressive code through his instrument, one of the most strongly rooted in so-called recognizable music. In 2015 he released "CASADEI SECONDO me" (Stradivarius) a tribute to Maestro Secondo Casadei, where Zanchini reinterprets in a modern key the most famous melodies of the composer from Romagna. In 2016, "Don’t try this anywhere," was a personal tribute of Zanchini to the great saxophonist Michael Brecker and was an album with modern sounds and expressions recorded in New York with a band of the highest international calibre among others, with John Patitucci on bass and Adam Nussbaum on drums. This album won the "Orpheus Award 2016" for best album of the year in Italy. Out in 2018 is "Cinema Paradiso," a project on the music of Nino Rota that sees Zanchini playing solo with the prestigious HR Frankfurt radio big band of the German national radio-TV.